K-cup compress the entire coffee process into 1 cup! 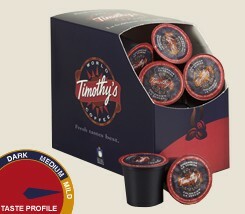 K-cup is a simple looking cup that bring forth a whole new coffee experience. The K stands for Keurig (many spelled it Kuerig) as in keurig coffee maker which means excellence in Dutch and in 1998, they broke the concept of instant and gourmet coffee! You see folks, during not too long ago in the 80's, if you want a gourmet coffee, you go for Roast & Ground. And to have it at home, you either get a semi-automatic espresso machine or a Bunn like coffee maker. That is considered home brewed and good quality coffee, the upper end of coffee experience. And if you just want a caffeine fix, something instant, you would get granules or freeze dried coffee from Maxwell House or Nescafe. These are considered to be instant coffee (frown upon by the aficionados who loves their coffee), the lower end of coffee experience. In 1998, K-cup was introduced to give coffee lover simple, fast coffee. And that is not your average instant coffee, but pre-measured, technology sealed gourmet coffee grind. Simply insert the cup, press a button and you get coffee that is on par with coffee houses' cuppa. 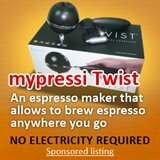 Sure, it is also during this time, that there was a boom in gourmet coffee pods, there was Nespresso, Melitta, Senseo etc. 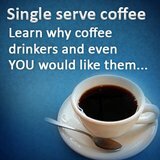 But, Keurig has something special, I term it the "amazing range". 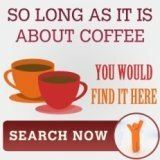 If you are looking at this article, chances are you are looking for a coffee maker and maybe even considering Keurig. 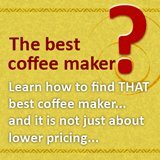 Just a word of caution -one cup coffee makers can be great in many ways, but they do have a dark side and that is their closed system. Now, if you are someone who like to try and surprise your taste bud with variety and loves to try new stuff, think no more, K-cup has it all! However, if you are particular about your coffee, hold your horses, try and sample a few of these one pod coffees (if you are getting single serve) before making a commitment. The reason why some coffee folks have a whole arsenal of coffee machines, i.e. grinders, roasters, makers is due to one reason -Freshness. Roast beans freshness last for less than a week, grind coffee less than hours and so to get the freshest cup of coffee -it is to do everything just before you wanna that cuppa. Imagine all these hassle compressed into a small little thing, called the K-cup. And this would be the Keurig patented technology that protect the coffee from moisture, light, air, the elements that would spoil your coffee. K-cup boast of partners like Gloria Jeans, Twinnings, Ghirardelli, just to name a few of them, each a leader in each of their area of expertise. Together, they would bring you, a great experience in Coffee, Tea and cocoa. It is the culminations of so many partners that Keurig is able to offer you more than 100 varieties of beverages, the most for any single serve companies. Well, if you read till this portion, that means your interest must be pretty high, in order not to be swayed by the "bad news" and I would wish you a enjoyable coffee time with Messr K-cup!